It’s not a caterpillar, it’s a beautiful wildflower! 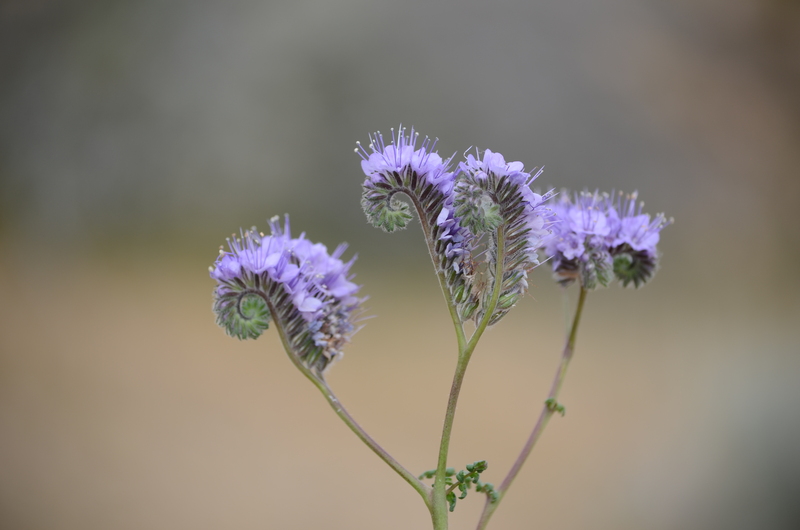 Lace Leaf Phacelia, with a fragrance that is delightful. 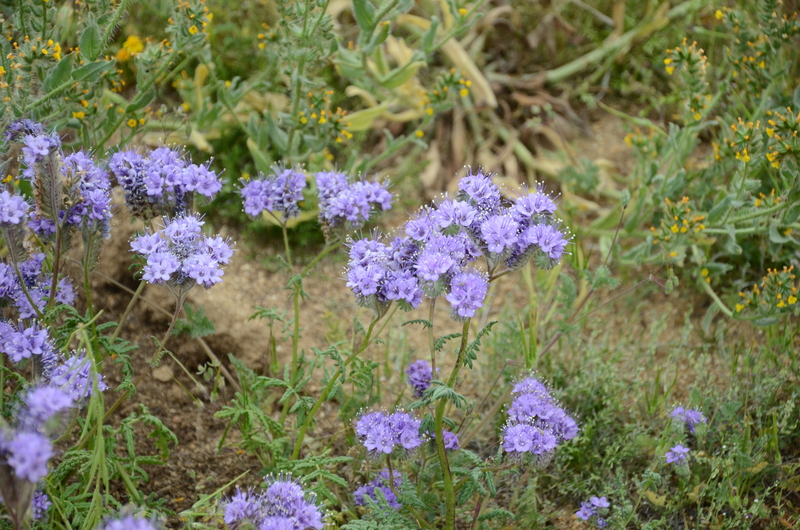 Here you see a grouping of the Lace Leaf Phacelia, with some Fiddleneck (the tiny gold flowers) in the background.